We at Saverr are working hard to create the best app we can for our users. We want to let our users know exactly what is going on with us as well and what we have been up to. Because of this, we have decided to publish exactly what we fixed every time there is an update to the app. For version 2.1 we have fixed a few things for you. 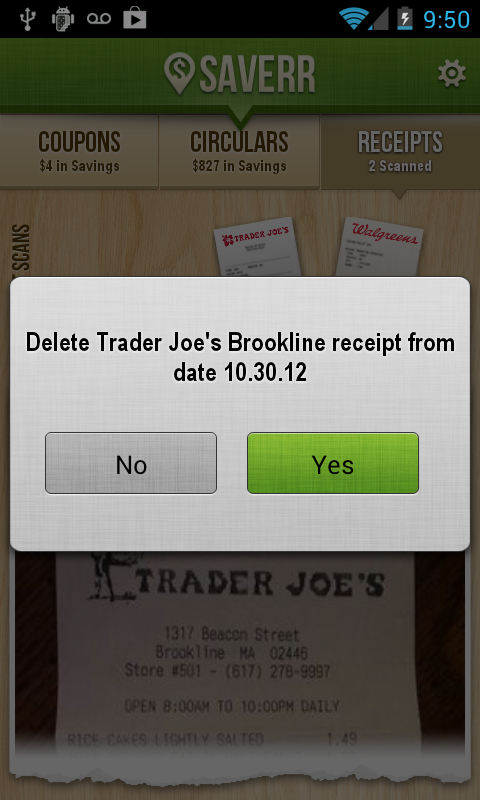 In past versions, users were not able to delete their receipts. Sometimes people would scan their receipt and it would obviously be a bad picture. Now, if you have a receipt that you don't want on there, or you took a bad picture, you will be able to delete that scan. 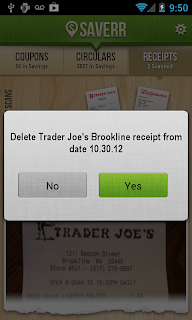 In former versions, if a receipt was unreadable, it would take a long time for the app to let you know this. Now, if the receipt is unreadable, or you scanned a receipt from a store that is not supported yet, you will get almost immediate feedback on that. Clicking back no longer leaves the app when you are in the Coupons, Circulars, or Receipts tab, and you can now swipe up from any area within the app. We hope you enjoy these new features and big fixes, and let us know anything else you think should be integrated as well.